Our first location on the west coast has opened in the Financial District of San Francisco! Set against the fast-paced corporate cityscape, this Bluestone Lane is a creative and peaceful space that will allow locals to slow down between meetings or during busy days spent shopping. Just a short stroll from Sue Bierman Park, The Embarcadero Centre and nestled next to a street-art-filled laneway, similar to those in Melbourne, Australia, this coffee shop will become a regular for locals of all walks of life. 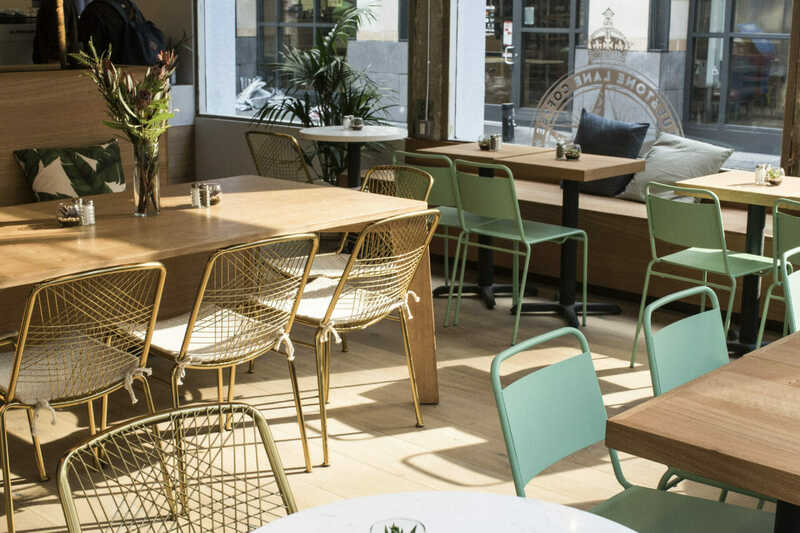 Grab a sun-drenched seat and enjoy a premium Flat White and some healthy, Aussie-style café fare. The design of the store is inspired by the new locals of the Financial District neighborhood. The beautiful white minimal entry is lined with lush palms and outdoor benches where you can sit and enjoy your coffee. There is also plenty of seating and cushions from Australian designer KIP&CO inside with large windows creating a bright and airy space with lots of natural light, perfect for early mornings with the newspaper or a late breakfast with friends. Three brass pendant lights hang above the white oak bar and splashes of color are provided by our signature seafoam green tiles from Mercury Mosaics. Throughout the space, locals can sit at round marble tables under a sea of white shade pendants. 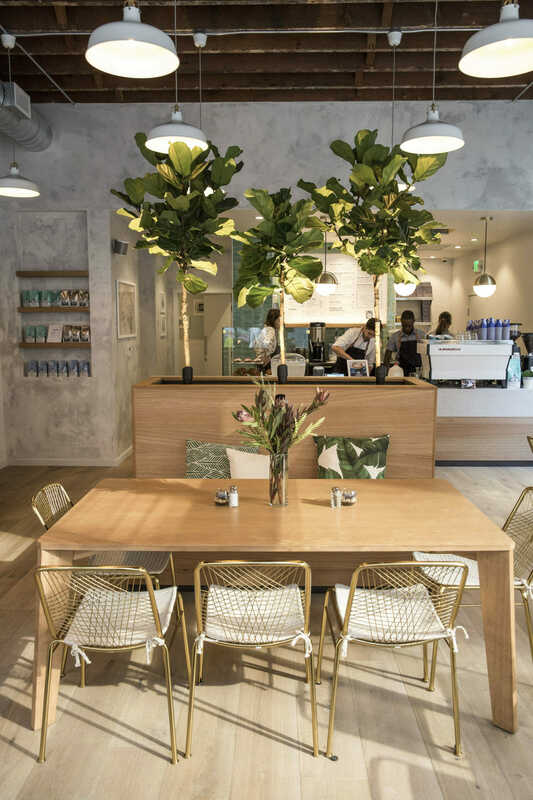 The focal point of the space is a large community table with brass chairs framed by a large planter box housing two tall fiddle leaf plants. We’re thrilled to become the newest purveyor of premium coffee and healthy Aussie cafe fare in San Francisco. Bluestone Lane Front Street will be offering all of your favorite beverages including our coffee, tea and wellness latte range. These can be enjoyed with our very popular toasts, seasonal wellness bowls and convenient grab and go selection.